Doctoral candidate in Rhetoric at the University of California, Berkeley. My dissertation examines the different ways the term México becomes a concept in the late eighteenth and early ninetheenth centuries. "Forging the Concet of Mexico in the Long Colonial Twilight" maps the proper name México and its status as a concept in multiple discourses: theological, spiritual, historical, political, economic, constitutional, and juridical. Furthermore I have taught courses in the Rhetoric Department on the concept of reason, ethics and design, the idea of study, and rhetorical interpretation. I have additionally served as a Graduate Instructor for courses in Practical Argumetation, Rhetorical Interpretation, and the History and Theory of Classical Rhetoric. Outside of my home department I have taught a survey course on Chicano Literary History for the Department of Ethnic Studies, and have served as a Teaching Assistant for the Department of Classics Roots of Western Civilization course, the School of Journalism's International Reporting course for the its summer intensive minor program, and the College of Letters and Sciences' Introduction to the LIberal Arts online summer course. Richard Grijalva and Asad ur Rehman are now peers. 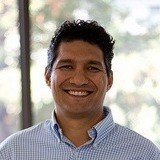 Richard Grijalva added interests Ontology and Social Thought, Intellectual History, Philosophy and Rhetoric and more. Richard Grijalva updated their profile information. Richard Grijalva changed their profile image.